Foucault’s late work on biopolitics and governmentality has established him as the fundamental thinker of contemporary continental political thought and as a privileged source for our current understanding of neoliberalism and its technologies of power. In this volume, an international and interdisciplinary group of Foucault scholars examines his ideas of biopower and biopolitics and their relation to his project of a history of governmentality and to a theory of the subject found in his last courses at the College de France. Many of the chapters engage critically with the Italian theoretical reception of Foucault. 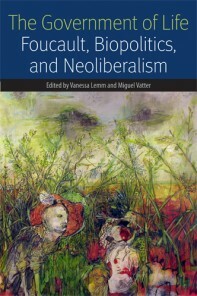 At the same time, the originality of this collection consists in the variety of perspectives and traditions of reception brought to bear upon the problematic connections between biopolitics and governmentality established by Foucault’s last works.